Space, the English language specialty television which features science fiction, fantasy, horror, and paranormal programming, begins broadcasting in high definition today, July 6th. The Bell owned station will in Canada on Bell Satellite TV (channel 1746) and Bell Fibe TV (channel 1632). To date no other broadcast distributors have announced a deal to carry the station. Programming on Space HD will be exactly the same as what can be found on the standard definition version of Space. Among the first HD offerings on the station will be the premiere of Torchwood: Miracle Day and Outcasts on July 9th, Aphas on July 11th and Fanboy Confessional on July 13th. 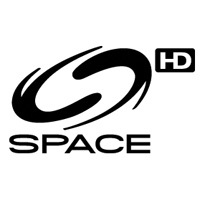 Discuss the Space HD launch in Digital Home’s Canadian Television Industry / Channels and Providers forum or discuss programming on Space in our What’s On Television forum. So far I am not impressed. They are playing stuff that is available in high-def (I own the Bluray’s) in 480P with bars. Typical half as** product. No one broadcasts in 480P. If you’re seeing a 480P signal on your TV, it’s because your STB is not set up properly and you’d see the same thing (480P) for all HD channels. That’s not to say Space is not providing some upconverted SD programming, which is typical for quite a lot older programming on some HD channels, where the channel may not be willing to pay for the HD rights for this older programming. It’s often a good idea to watch for a day or two to see what true HD programming is available before berating a channel that’s only been on for a few hours. Space is broadcasting their stranded 480(4:3) single unscaled to HD, instead of actually broadcasting HD content. My equipment is set up perfectly and no change in my equipment will change the crappy single space is sending out. I assume “stranded…single unscaled” was meant to read “standard…signal upscaled”? Anyway, I gather from the press release above that only a few series will be in HD initially (Torchwood, Outcasts, etc.). Presumably, they will phase in more and more HD over time; that’s how most new HD channels start off. I’m just delighted that Space can finally do HD. Well, I’m on Bell Satellite TV and not seeing this new channel. Do you have to be a Space subscriber to see it? Yes I believe you need to subscribe to the SD version to receive the HD version. Hopefully they will have a test period so people can judge for themselves if it is worth it. Well, I have Space SD on Shaw cable, but no word on whether Shaw will pick up the HD version yet. I hope Shaw does. so wish Shaw gets on board ASAP!